This download is an update version ONLY. 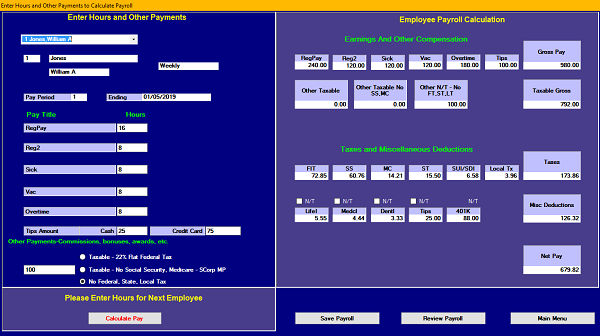 This download will update earlier purchased versions of TKT PAYROLL to the current version which includes Federal and State tax tables. This download is an update/upgrade version ONLY. This download will update earlier purchased versions of TKT PAYROLL to Version 14.1.0, which includes the 2019 Federal Tax Tables, State Tax Tables, and 2019 Form 941. New customers, please see our listing titled "2019 TKT PAYROLL SOFTWARE Small Business DOWNLOAD NOW".